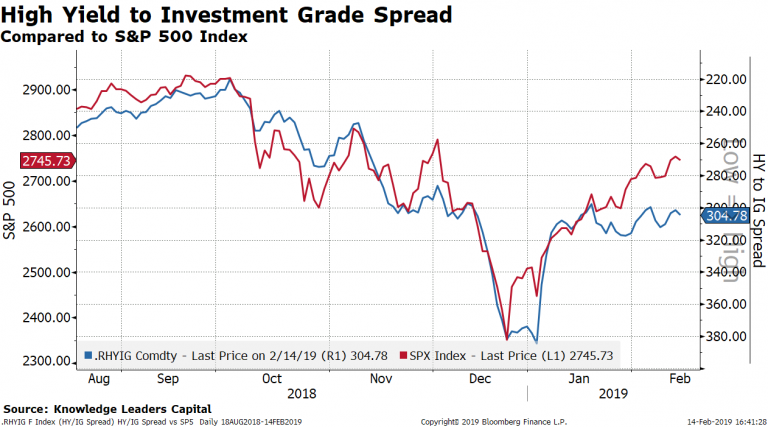 Because high-yield bonds trade more like stocks, I like to compare the relative spread between IG and HY to the S&P 500. 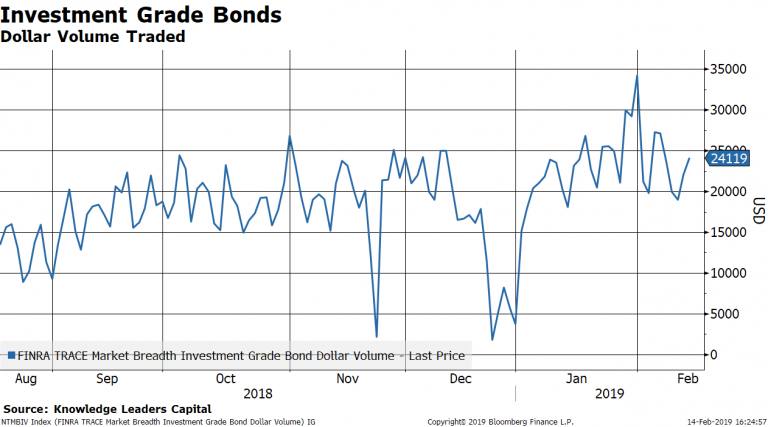 High yield spreads stopped narrowing relative to investment grade on January 18, 2018. 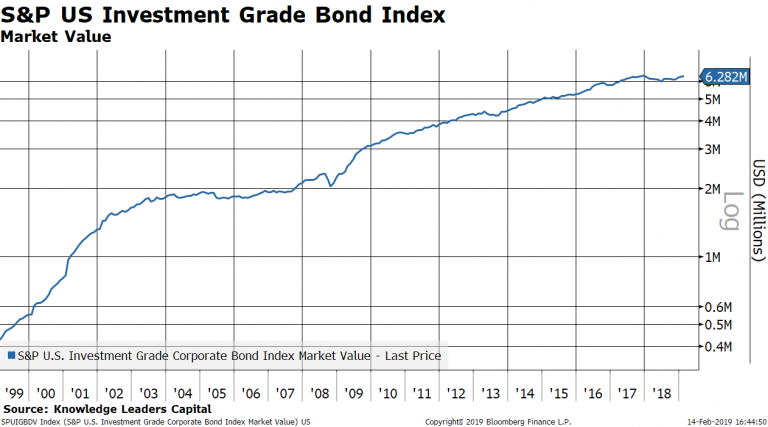 The divergent signs coming from credit are still early days but worth watching given that the US investment grade credit universe is over $6 trillion, roughly 3x the market value at the last recession and almost 10x the size of the 2001 recession. 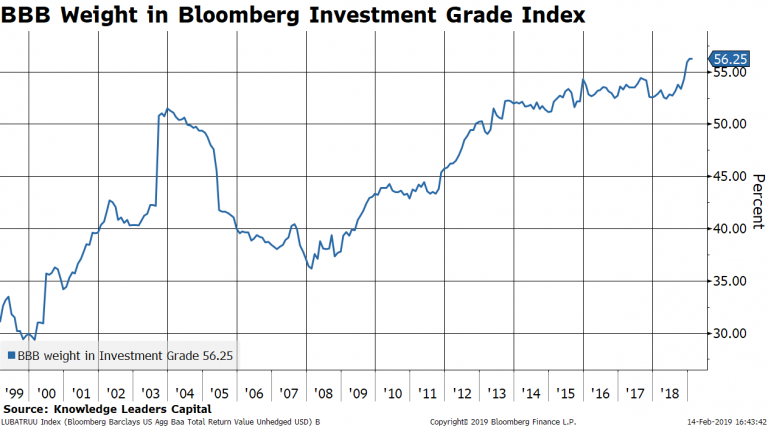 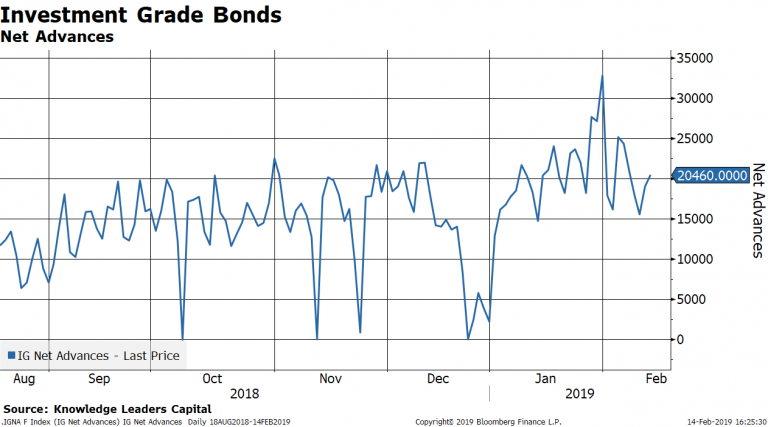 The BBB weight, the lowest rung in investment grade, now constitutes 56% of the $6 trillion investment grade market, the highest in history. 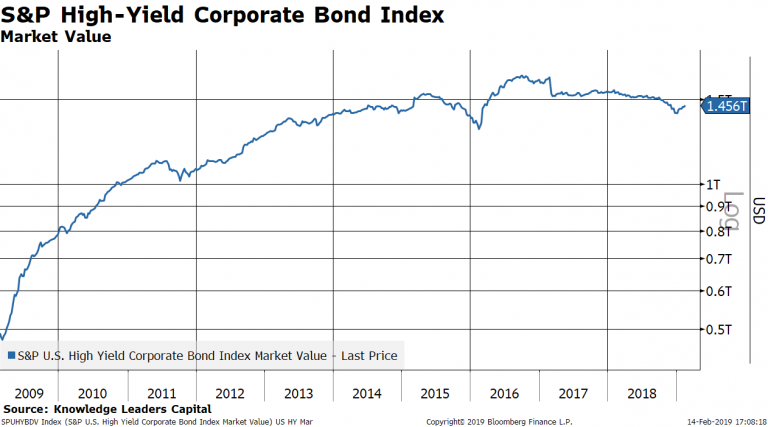 The high-yield market is only about $1.5 trillion, so a wave of credit downgrades could add significantly to this universe of credit, dragging down prices. 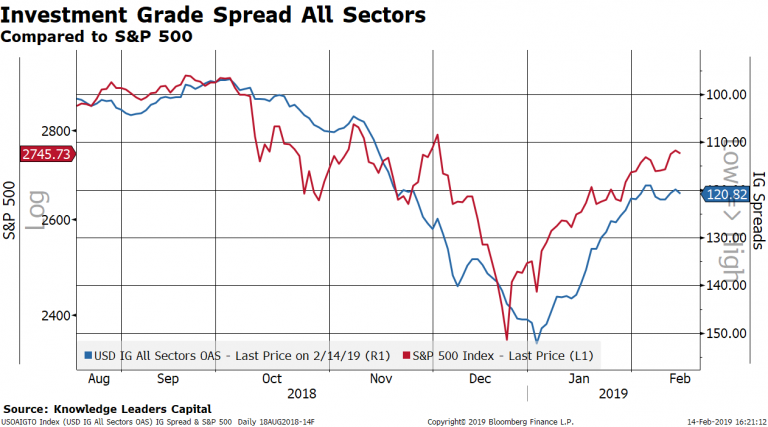 The longer the credit markets stall and diverge from equity markets, the more worried I become of a retesting sequence in the equity markets.